A few more sites have added some time sensitive offers, and others are still waiting until the 24 November to release their discounts. Here are some of the latest deals I have found, both in the UK and the US. I’m only listing ones that I think are good value or that are from companies that don’t usually discount. Feelunique is releasing limited beauty buys three times a day, 8 a.m., 1 p.m., and 6 p.m. (approximately), and also has 10% brands to match a competitor for three days. Brands include Clinique, Elemis, bareMinerals, and Clarins. Discounts vary on the limited deals and can be from 10% to 75% off; currently there is a bareMinerals complexion set at 50% off and future deals include this works Deep Sleep Pillow Spray 75 ml. Superdrug has early Black Friday deals for members only. You must log in to see the final price and items include make-up bundles from GOSH and Rimmel for £10 each, various gift sets, and free gifts with purchases. There are currently over 200 items available, and a few have sold out already. These offers are only until midnight Tuesday where I anticipate they will have some new deals on offer. Resultime will be offering 10% off their products on Friday with the code BLACK. bareMinerals are offering free delivery on all orders, and will have five days of special offers from 25 November. I will post them as soon as the codes become live. 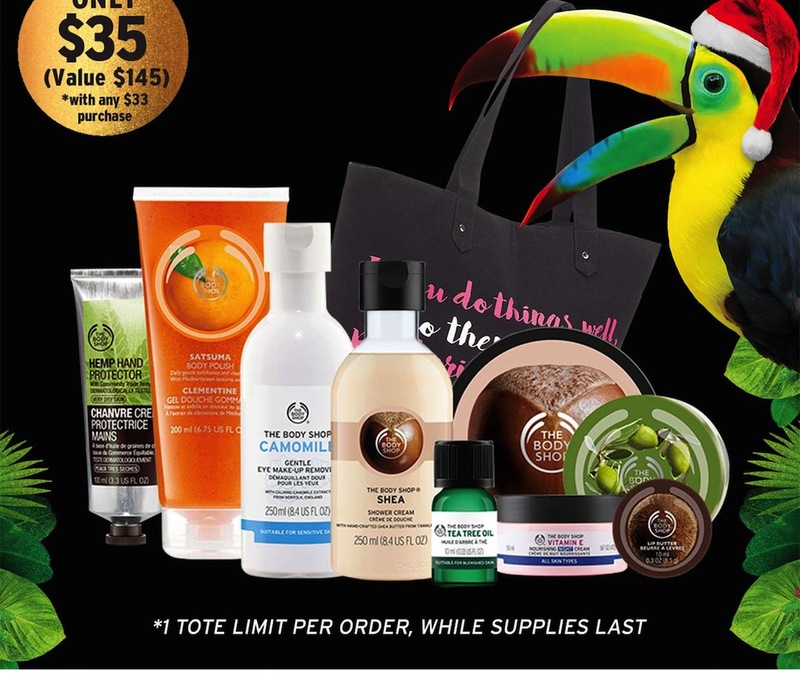 The Body Shop (USA) has on offer their limited edition tote bag, available for $35 with a $33 purchase. The bag is filled with goodies worth $145, and sells out quickly.